Hallmark Jewellers’ Christmas Candelabra has been designed to celebrate the family coming together at this special time of year. 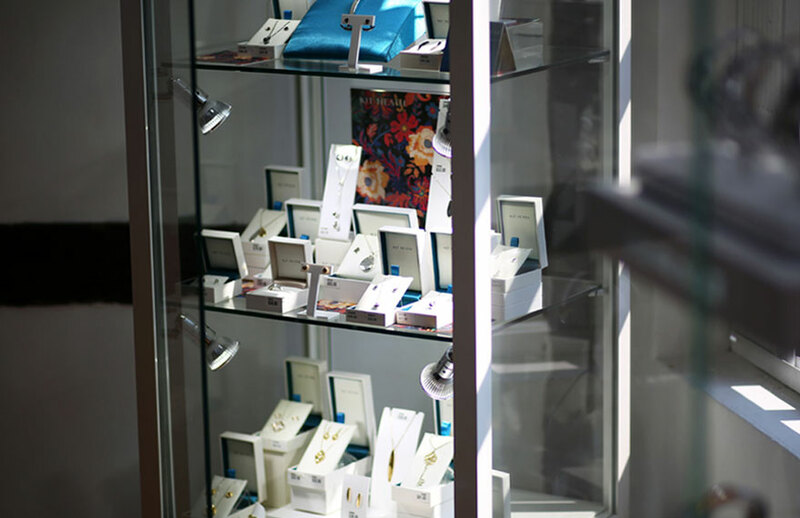 The candelabra has been handcrafted by our team in Sterling Silver, with 22ct Yellow Gold-Plated details. 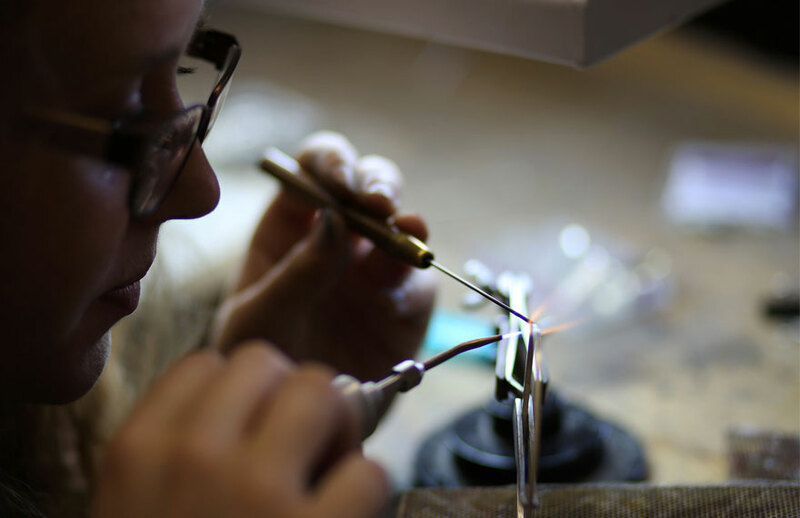 There are over 300 precious gemstones, which have each been set by hand in our workshop, and gentle hand-engraving tracing the edges of the design. 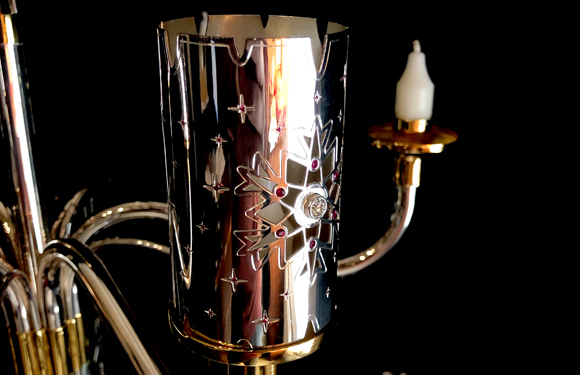 The frame of the candelabra is built using over 6 metres of Sterling Silver tube. The collars and candle scones were created using Computer Aided Design then turned on an engineers’ lathe to make sure every piece fits seamlessly together! The candelabra features removeable ‘Cracker Cuffs’ and ‘Snowflake Tree Charms’ that can be customised for each family member and reused every single year. The base of our Candelabra was formed by wood-turner Martin Saban-Smith of Four Marks, Hampshire in American Black Walnut. Our gorgeous Candelabra looks to celebrate all the best things about Christmas: celebration, indulgence and family. Come into store before December 19th 2018 to see the Candelabra on display, and find out how we did it on Channel Four’s ‘The World’s Most Extraordinary Christmas Dinners’ at 9pm on Wednesday 19th of December. An original idea from our team, our ‘Cracker Cuffs’ are designed to fit snuggly over any standard sized Christmas cracker, to add a little bit of luxury to your Christmas table decor. Our Cracker Cuffs are created in Sterling Silver and are each set with a 1ct Round Brilliant Cut Diamonds and 6x Beautiful Red Rubies. Once the crackers have been pulled, each family member has chance to place their ‘Cracker Cuff’ onto a candle sconce on the candelabra to complete the final display. The ‘Cracker Cuffs’ create a new Christmas ritual that symbolises bringing the family together around the Christmas dinner table. Our ‘Snowflake Tree Charms’ have been designed to hang on the smallest arms of the candelabra, up until the time that the family chooses to adorn their tree with them. 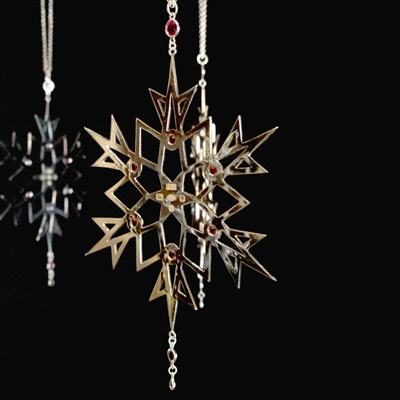 They have each been hand-cut by a one of our Goldsmiths, who then set and finished each snowflake individually. The ‘Snowflake Tree Charms’ are made from Sterling Silver and are set with six gorgeous rubies in each. They feature a delicate Sterling Silver linked chain, spectacle set with an additional three rubies. The snowflake represents individuality and each Charm has a space left blank in its centre, ready to engrave the name each family member upon their own Christmas Charm. 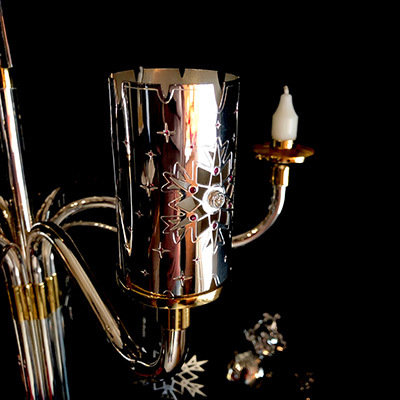 The candelabra encompasses the idea of family, which we feel is the most important part of Christmas. Right at the centre of the candelabra sits a collection of glittering stones. They hang delicately together and organically twinkle the gentle candlelight around the table. 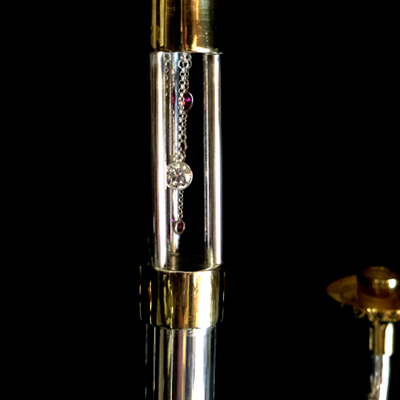 The candelabra itself is entirely made of Sterling Silver and features 22ct Yellow Gold plated details. 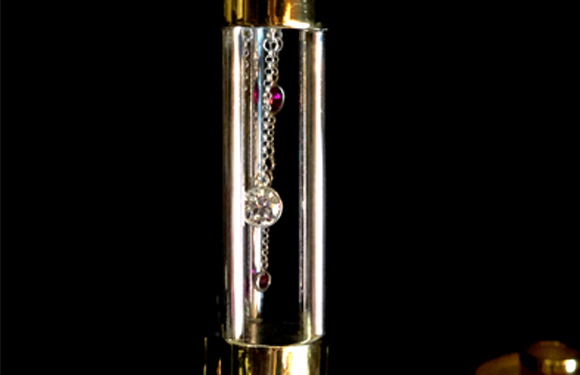 The centre stem is set with spectacle set gemstones, with a central 1.5ct Round Brilliant Cut Diamond, surrounded by an array of Red Rubies. Our candelabra has a total of 316 precious stones, with a total of 7.5ct of diamonds and over 15cts of stunning red Rubies that glow beautifully when illuminated by the lit candles. The frame of the candelabra was created from Sterling Silver Tube, and was bent with the help of some plumbers’ pipe-bending tools! The candelabra has been completely designed, created and set by hand by our team and in our village workshop. Once the crackers have been pulled, each family member has chance to place their 'Cracker Cuff' onto a candle sconce on the candelabra to complete the final display. The ‘Cracker Cuffs’ create a new Christmas ritual that symbolises bringing the family together around the Christmas dinner table. Our 'Snowflake Tree Charms' have been designed to hang on the smallest arms of the candelabra, up until the time that the family chooses to adorn their tree with them. 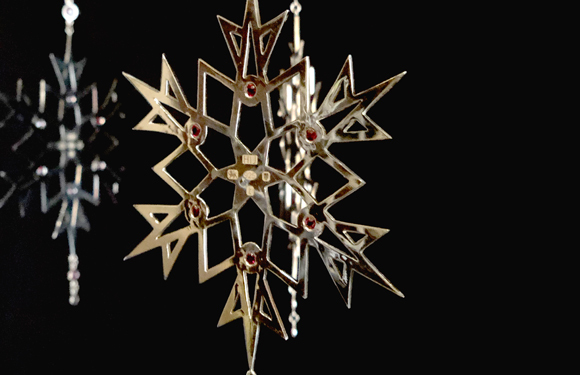 They have each been hand-cut by a one of our Goldsmiths, who then set and finished each snowflake individually. The 'Snowflake Tree Charms' are made from Sterling Silver and are set with six gorgeous rubies in each. They feature a delicate Sterling Silver linked chain, spectacle set with an additional three rubies.